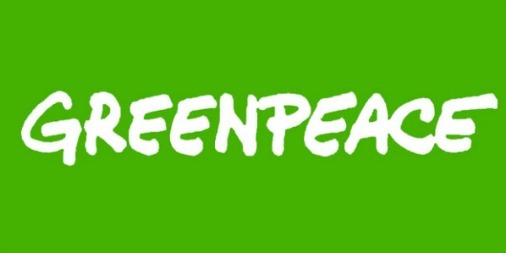 WASHINGTON - Yesterday, 13 House Representatives sitting on the ‘Science, Space, and Technology Committee’ sent letters to 17 state Attorneys General and eight Non-Governmental Organizations, including Greenpeace USA. These letters come as a reaction to the announcement by the Attorneys General to coordinate efforts around climate change related actions, following the NGOs’ revelations that ExxonMobil implemented a colossal climate denial operation to deceive its shareholders and the public for decades. "America's least-respected politicians have now courageously stepped up to defend one of America's most-hated corporations from scrutiny. If these Representatives, who have historically low approval ratings, think they’re somehow helping Exxon’s public image with this nonsense, then they need to take some time away from lobbyist mixers and meet the people. American citizens believe in climate change and want a better future. Exxon knows now and has known for decades that its work has contributed to catastrophic climate change. The issue here is whether or not it lied to its shareholders and the public. “If Exxon knew its work made climate change worse and hid this information for profit, it should be held accountable, not protected by elected officials who are there to represent the American people, not corporations. Since 1999, these 13 elected officials have been paid millions in campaign contributions from coal, oil and gas companies, so this letter is more proof that the system works –for corporations." The list of groups that received the letter includes 350.org, the Climate Accountability Institute, the Climate Reality Project, Greenpeace USA, Pawa Law Group PC, the Rockefeller Brothers Fund, Rockefeller Family Fund and the Union of Concerned Scientists. The 17 attorneys general are the elected officials of California, Connecticut, District of Columbia, Iowa, Illinois, Massachusetts, Maryland, Maine, Minnesota, New Mexico, New York, Oregon, Rhode Island, U.S. Virgin Islands, Virginia, Vermont, and Washington State.